An increasing number of physicians are looking for minimally invasive alternatives to destructive surgery or gentamicin injections for treatment of Ménière’s disease. Years of clinical research has shown that the Meniett micropressure therapy generator is such an alternative. AAO-HNS’ Position Statement on Micropressure Therapy, updated in March 2016, states that “Micropressure therapy can be used as a second level therapy when medical treatment has failed”. 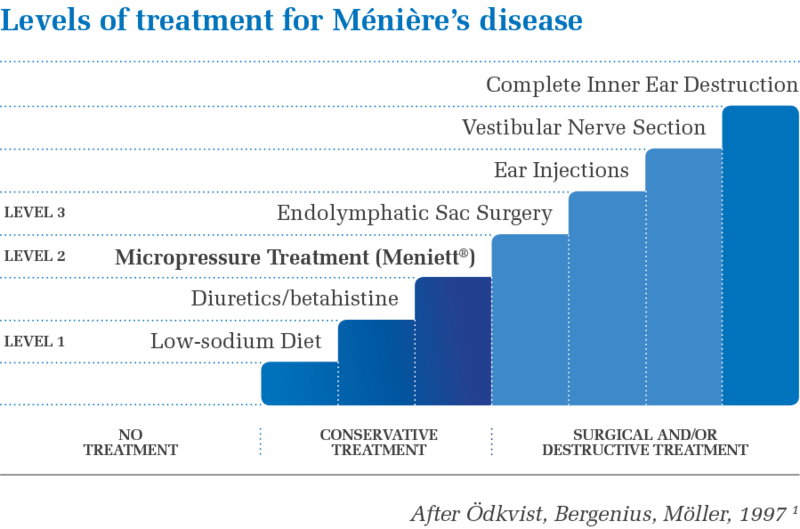 Medicare covers medically necessary Meniett therapy for Ménière’s disease. The Meniett generator is considered a durable medical equipment (DME) and is covered by Medicare nationally through the Durable Medical Equipment Regional Carriers (DMERC). There is much research on Ménière’s disease and its various treatment options. Physicians and patients are encouraged to further their knowledge and understanding of this complicated disorder.